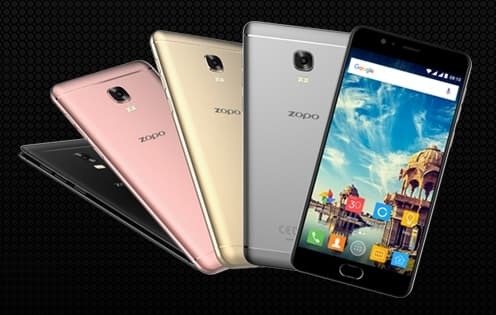 Zopo has introduced a novel smartphone device- Flash X Plus in India following the launch of Color F1 and Color F2 smartphones the previous year. The device features a 5.5-inch full-HD (1080 x 1920 pixels) display with 2.5D curved glass protection, a metal unibody powered by the 1.3 GHz MediaTek MT6753 octa-core processor with Mali T720 GPU and 3 GB of DDR3 RAM. The fingerprint reader housed underneath the Home Button at the front has a response time of just 0.16 seconds and is one of the world’s fastest, if the company claims are to be believed. It further packs 32 GB of inbuilt storage with upto 132 GB expandable memory, ensuring a seamless multi-tasking performance. The smartphone has battery backup of 3100 mAh and runs on Android 6.0 Marshmallow. On photography front it sports a13-megapixel rear camera with dual-tone LED flash. There is a provision of 8-megapixel front camera with moonlight screen flash and 90-degree wide angle for selfie-lovers. Zopo Flash X Plus will be available in 4 variants of- Royale Gold, Charcoal Black, Space Grey and Orchid Rose. The device would go on sale starting mid-March via online retailers like Amazon, Flipkart, Snapdeal, Shopclues and Naaptol as well as through all Zopo counters across India.